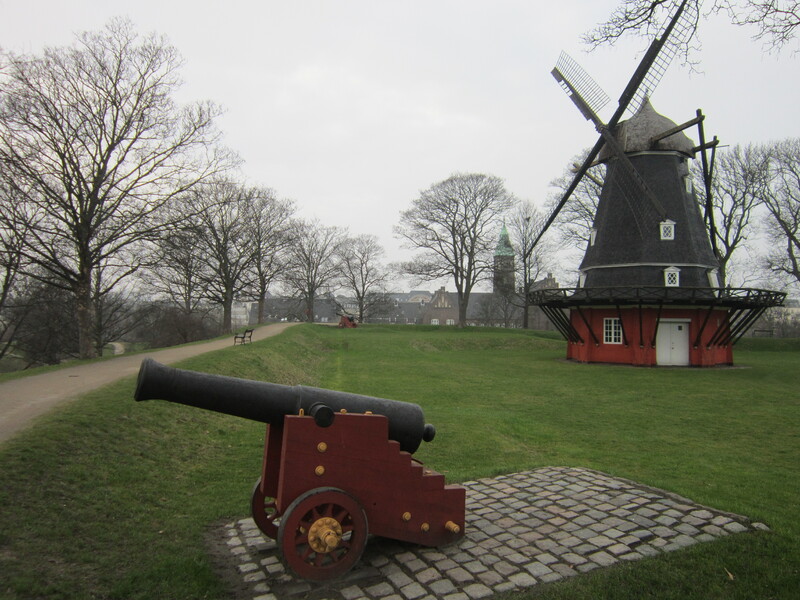 In March 2014 I headed over to Copenhagen, Denmark for 5 nights. One of the advantages of living in Europe near an airport (Bristol) is that it’s easy to fly somewhere for a brief trip at short notice, so I decided to use the few days off I had from work to visit the city, booking only 3-4 weeks in advance. Not exactly ‘last minute’ but still less planned than other trips i’d taken in the past. I arrived in the city, checked in at the hostel and went for a wonder. I decided to leave some of the main sites for later in the week. First off I went and looked at Christiansborg Slot (Slot basically means Palace or Castle I think) which contains the Parliament building and the area around there. It was an impressive building and there a couple of grand statues around it as well. 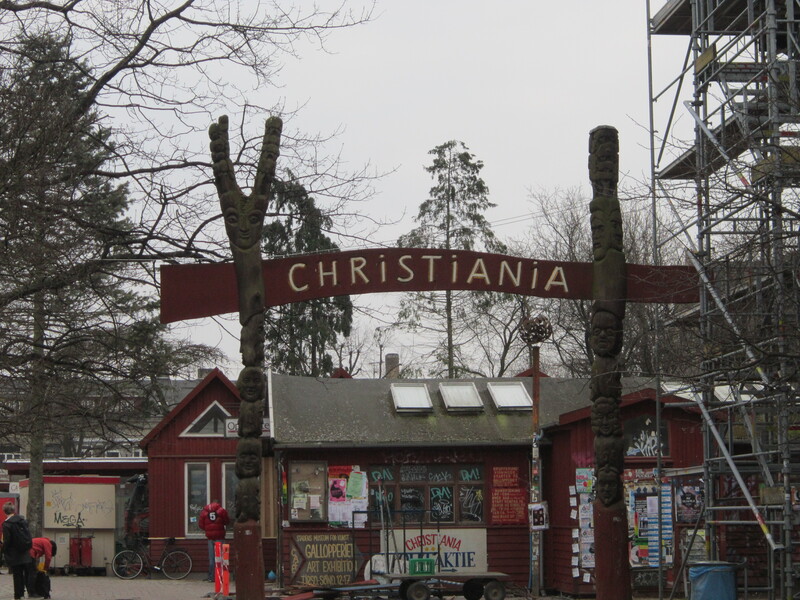 After that I went for something drastically different and went to look around Christiania, a commune established on an old military base which is home to around 850 people. It’s a very interesting place. You can’t really take photos inside so only have one of the entrance. The main area had several people selling certain substances, and that was certainly the theme of the street art, several stalls and all the signs saying things like ‘Remember marijuana is illegal in Denmark – don’t take photographs’ and ‘Don’t run it causes panic’. Some that area did feel a bit intimidating, but it also felt very ‘free’. Once you go past that area there is a large lake with a path around it. It was cool to see the way people had made houses from the military buildings and how they had cobbled things together. After that I looked around a couple of the canals, the buildings lining them are quite interesting, especially when the resident shave been inventive with the colouring. That evening turned into a very drunken affair as the hostel was very lively and there was a great bunch of people, a real mixture, we played drinking games for a while then headed to a nearby club. Suffice to say I was pretty hung over the next morning, though chatting to people at Breakfast helped perk me up. I headed to the National Museum of Denmark (Nationalmuseet) which has a great run through of the country’s history. 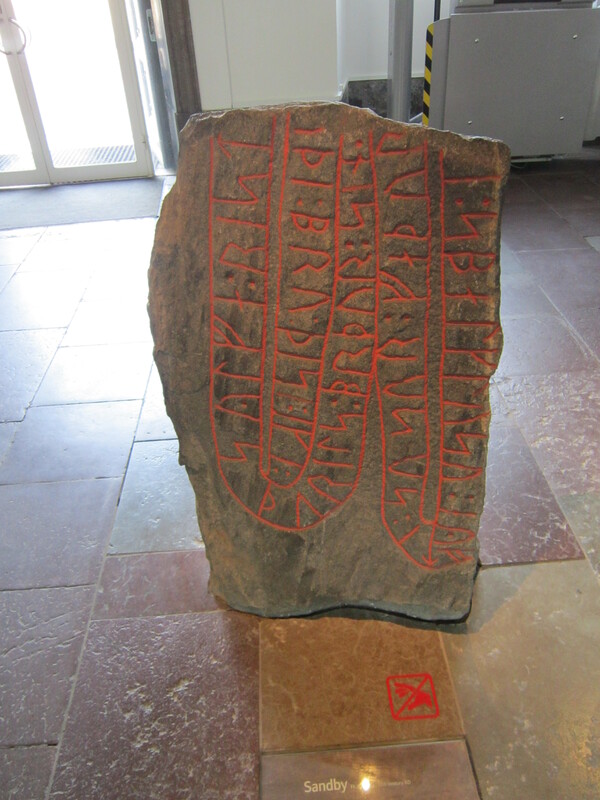 Yes there is stuff on the vikings, including some Runestones which got me very excited! The museum covers 14,000 years of the nation’s history, so there is good variation, from the stone age through to the modern times. So as well as things like swords and armour there are bits on Danish political movements culture in the 19th and 20th Century, and everything in between. After that I went for a long walk though the city. 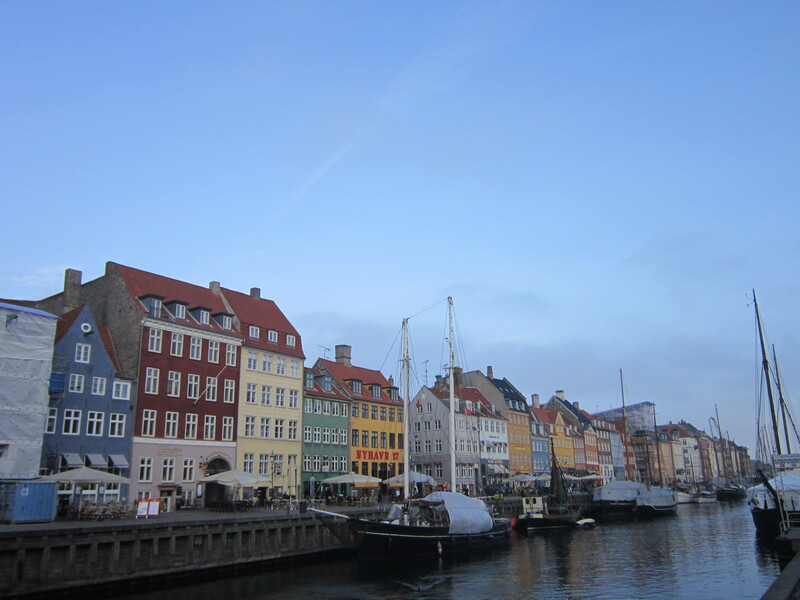 I headed to Nyhavn first, which is the well-known waterfront area, famous for its brightly coloured buildings as well as the ships docked along it. Very pretty! The I headed to see the nearby Royal buildings and the historic center of the city before making my way up to the Little Mermaid Statue, which is situated on some rocks by the waterfront in the Langelinie area. I think many people just head that way purely for the statue, but I though the whole area was quite nice. There are several statues and features in the park and it’s quite peasant to stroll around. 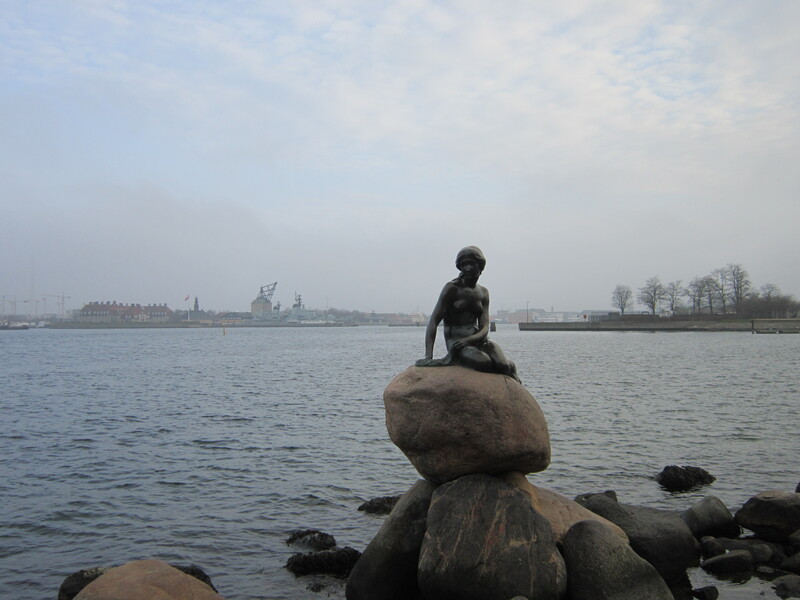 I know there is a bit of legend around the Little Mermaid Statue and a Danish friend of mine informs me it’s ridiculously popular with tourists despite having been vandalized a few times, but it is what it is, a small statue, so don’t expect more! I then walked around the nearby Kastelle, which is a Star Fortress. Apparently it’s one of the best preserved in Europe. I think it’s pretty cool, I walked around the top of the ramparts and through the Barracks area. The ramparts seemed to be very popular with joggers! As well as the military buildings and gatehouse there is a windmill which I thought was awesome. 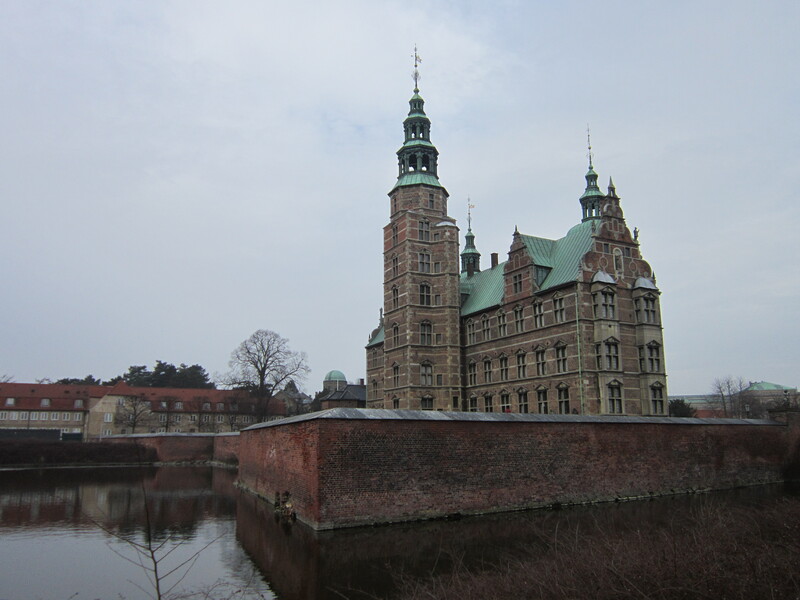 The next day I headed to Rosenborg Slot. Essentially it’s a castle full of art and treasure! It seems like the Danish Royals have used it as storage for all there accumulated wealth over the years, and you can even see the Crown Jewels there as well. 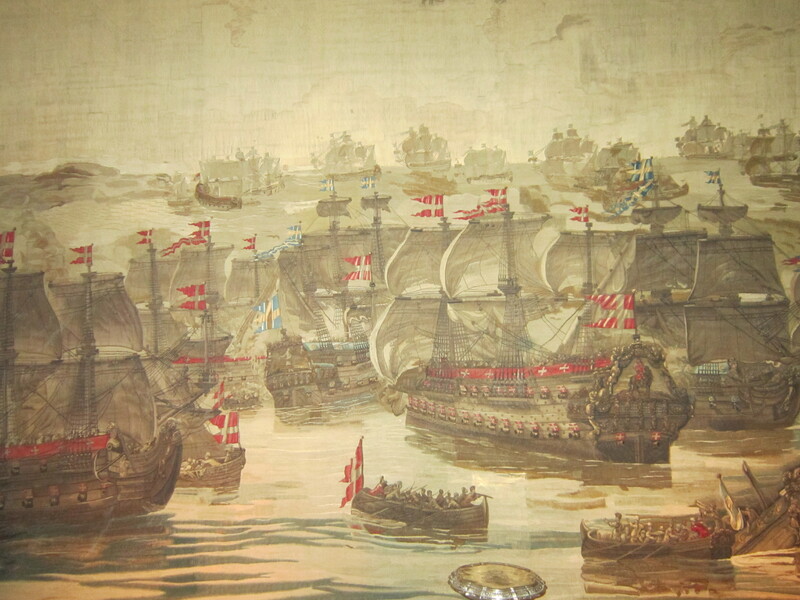 There are a lot of great tapestries, the ones detailing wars with Sweden were my favorite. You can also see the Coronation Chair and various artwork and jewelry. After that I went to the National Art building (Statens Museum for Kunst), which has a typical good collection of European classic art. I may not blog much about Art but I do appreciate it, I just don’t tend to eulogise it. That evening I experienced some of the famous Copenhagen nightlife! After drinks at the hostel with other travelers, a few of us headed to the ‘Meatpacking’ district which is now Copenhagen’s ‘hippest’ pub/club area, and we went in 3 different places in total, experiencing everything from electro to rock to American Jazz! The venues were quite small and absolutely rammed, so there was a great party atmosphere! Saturday I got the train over to Malmö In Sweden for the afternoon. Copenhagen and Malmö are connected by the Øresund Bridge so it’s a pretty quick journey, and I spent mine talking to a sleep deprived Swede making his way back from Belgium and consuming a horrendous amount of Snus (a form of tobacco). 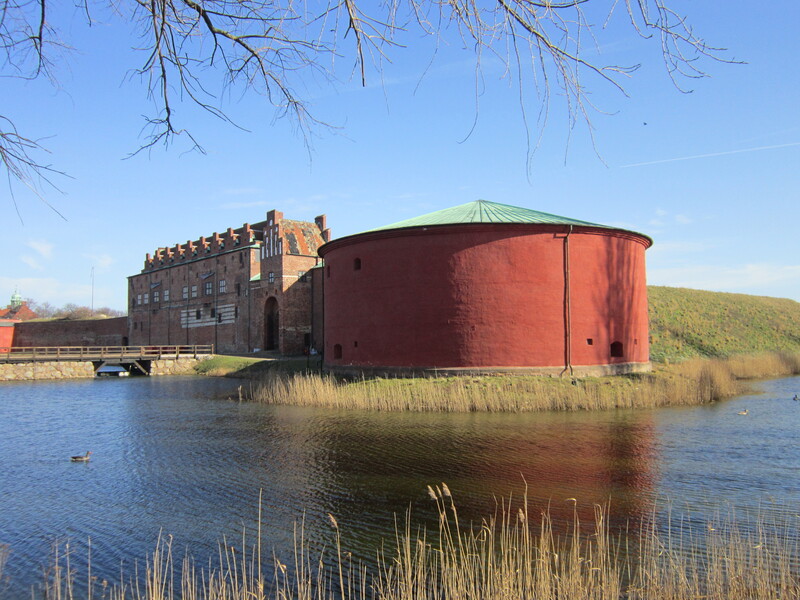 I looked around the town square/old town and then headed to Malmöhus, which is a moated castle. There is a museum inside which I explored for a while. Most of the displays seemed to involve war with Denmark, the area used to be under Danish control before the Swede’s retook it. Following that I walked around a nearby park which was very pleasant and then headed to the beach (also very pleasant!) and then the small harbor area. 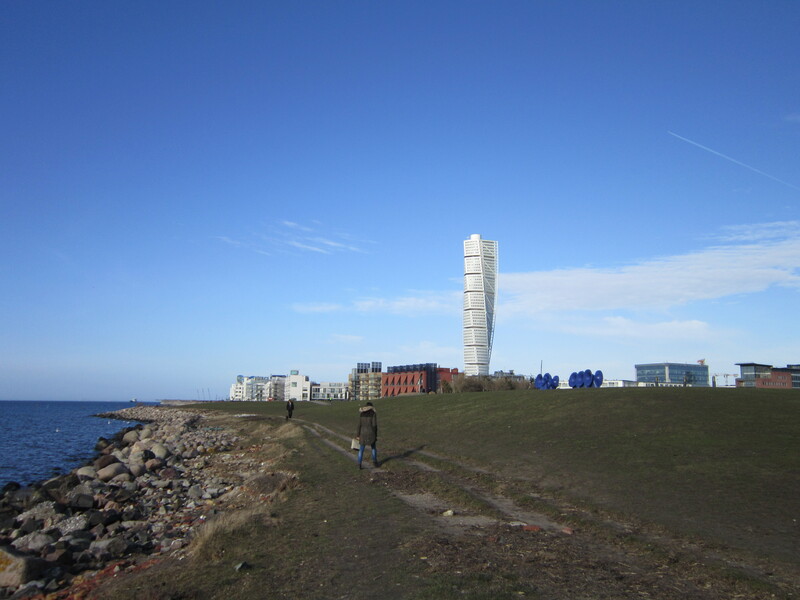 There is this skyscraper called the Turning Torso which is apparently the tallest building in Scandinavia. I think I was in Sweden for the grand total of about 4 hours. Definitely a country to go back to! That evening I took it easy chatting to a few people at the hostel. Next day was time to go home but beforehand me and a few people went back to Christiania, which had a very different vibe on a Sunday morning, very quiet and serene. Overall a fun trip, Copenhagen is a pretty relaxed place, with plenty to see and do both in the day and at night. I enjoyed reading this. It brought back memories of my holiday in Denmark a few years ago when I was doing research for my books. 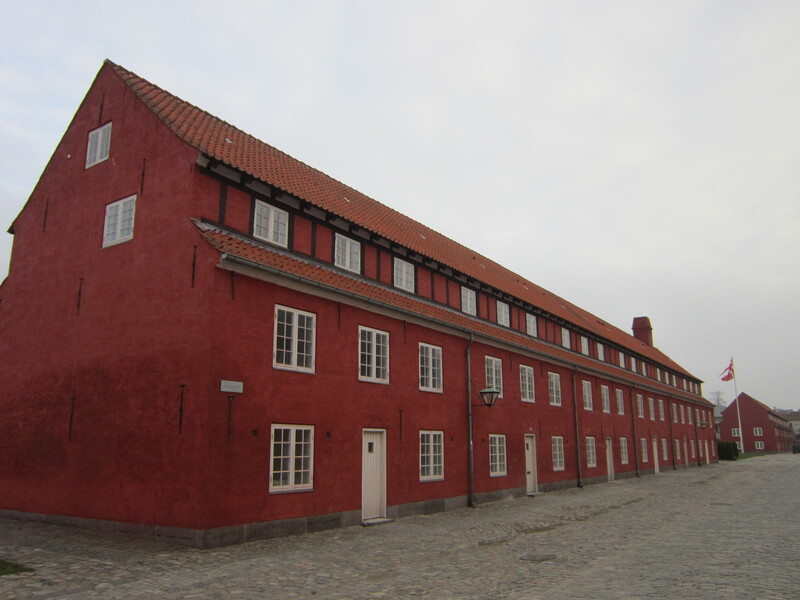 We spent most of our time on Jutland, and had only a brief visit to Copenhagen. It’s a wonderful country. Great photos. Great move to not only check out Copenhagen, but also Malmö. We loved to do the same when we flew to Copenhagen in late 2014. Both cities are absolutely amazing even though Copenhagen has a little more landmarks and sights! Yeah they are both great, I think Copenhagen would be a nice place to live one day, seemed very relaxed! That’s true, Scandinavia in general seems very pricey!